Everyone needs a cuddle. Maybe dragons more than most. These fire breathers are no match for the daring dragon tamer who arrives at bedtime to put them to sleep. 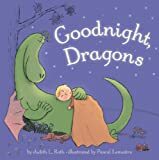 Destined to become a classic bedtime story, Goodnight, Dragons is as warm and comforting as a steaming mug of hot cocoa. 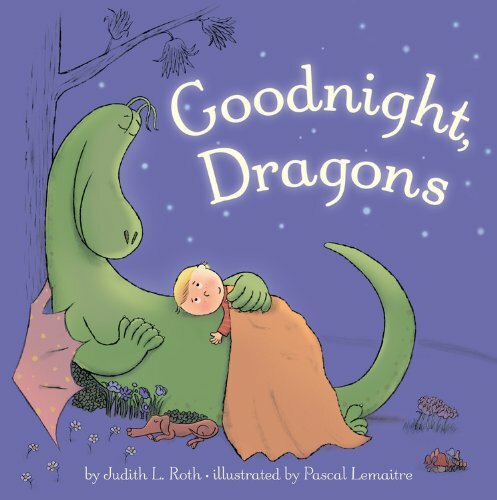 I asked my 5 year old grandson if he wanted me to read GOODNIGHT, DRAGONS to him. He was busy playing at the time and promptly said "No." So I started reading it out loud, to myself. After the first page he dropped what he was doing and sat next to me, absolutely into the book until the end. A kid-friendly testimony to GOODNIGHT, DRAGONS!